Excitingly, Tom is hosting an album launch party this very evening in that there London. Alas, due to family commitments, I'm unable to make it. It's probably for the best, my singing voice is atrocious. Tom kindly sent a copy of the album to me so I've been listening to it on repeat. I've been a little under the weather this week with a lingering cold and sore throat so it has raised my spirits no end. 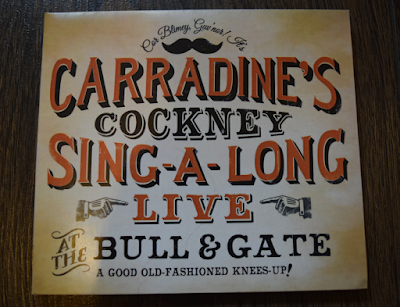 I've always had a thing for album artwork and Live at the Bull & Gate must be applauded for this alone. The old sign writing style is simply stunning. The CD even came with two complimentary beermats, featuring a super quote from Ralph Reader, "These are the times we shall dream about and we'll call them The Good Old Days." What is absolutely lovely about the album is that there's something for everyone. My girls have recently been introduced to the film Singin' in the Rain so as soon as this came on in the car, they both instantly started to sing along. Tom performs regular sing-a-longs in the South of England so if you can't get to one, a CD is the next best thing! If geography is in your favour and you manage to get to one, this CD would be a great memento of your evening too. Or perhaps a gift for your friends and family. 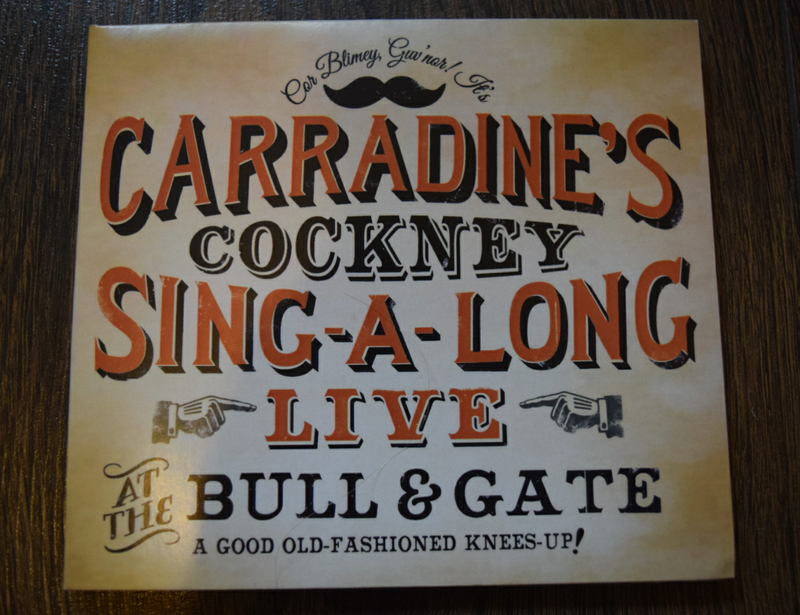 Tom's album can be bought for just £11 (including postage) on the Carradine's Cockney Sing-a-long website.